In the following pictures, you can see a very different approach to safety and edge protection. The above is a picture of a roof repair currently being completed at Imbil in the Mary Valley. It has some form of adhoc scaffold that is attached to the side of the home. On the left elevation toward the rear of the property you can see the system comprises of pieces of timber fixed together to provide a frame and the timber rail does not extend 1 metre past the gutter line. The aluminium trestle at the front left nearly touches the mains power line coming into the property and at various points construction clamps are used to hold the structure together. Below is an example of Ambrose Building working on a double story property. Which site would you prefer to have your workers on? 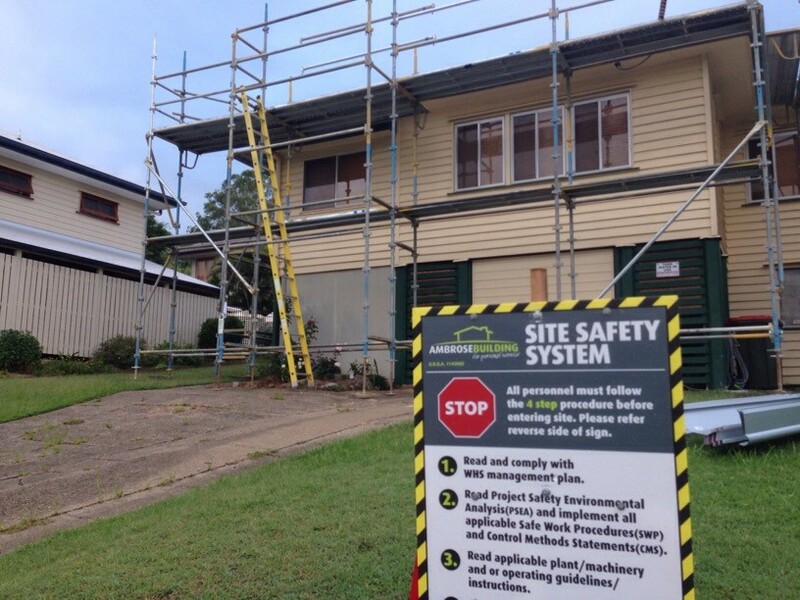 Two Queensland family-owned businesses and their directors have been committed to stand trial following a Workplace Health and Safety Queensland investigation into the death of a 62 year old roofer who fell and died while working on a roof without protection. The prosecutions are Queensland’s first category 1 under work safety laws. If found guilty, the companies may face a maximum fine of $3 million, and the directors fined up to $600,000 each, with maximum jail terms of five years. The defendants, Lavin Constructions Pty Ltd and Multi-Run Roofing Pty Ltd, and company directors Peter Raymond Lavin and Gary William Lavin, have been charged for contravening Section 19 (2) and/or s20 of the Work Health and Safety Act 2011. 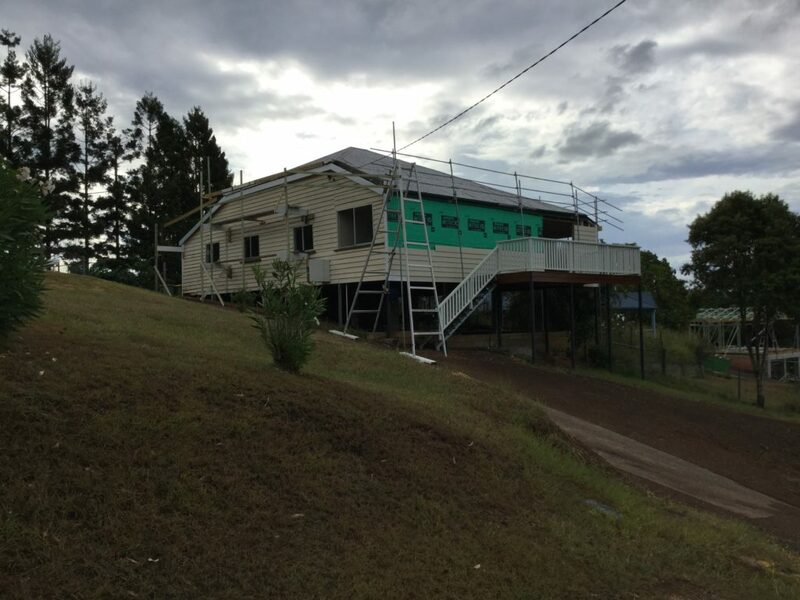 On 29 July 2014 Mr Whareheepa Te Amo was one of five roofers working on an industrial shed at Lake MacDonald in the Sunshine Coast Hinterland when he fell to his death. It is alleged that Mr Te Amo was several metres ahead of two scissor lifts being used for fall control and was not wearing a personal fall protection harness. The shed was part of a larger complex being refurbished by Lavin Constructions, the builder in control of the site, while Multi-Run Roofing was engaged to fit the roof sheeting. Workplace Health and Safety Queensland Head Dr Simon Blackwood said falls from heights is a serious issue. “Had the available and correct controls been used, Mr Te Amo’s death would not have occurred” Blackwood said. “Not following simple safety guidelines and taking unnecessary risks is just not on”. The WHS legislation makes it a requirement to have edge protection or a fall arrest device in place before accessing any roof over 2 metres or on a roof with a slope of greater than 26°. Fall arrest controls that arrest a person’s fall (e.g. fall arrest harness or catch platform) and prevent or minimise the risk of death or injury to a person when the fall is arrested. The WHS Regulation sets out specific requirements for these types of control measures (s.306E to s.306J). The WHS Act places the primary health and safety duty on a person conducting a business or undertaking (PCBU). The PCBU must ensure, so far as is reasonably practicable, the health and safety of workers at the workplace. During the response to the Brisbane Hailstorm, Ambrose Building engaged an independent Safety Consultant to provide written advice on working at heights and the implications for Ambrose Building as the PCBU. We requested this advice because of the number of homes we were assessing that were double story, with limited access, on sloping blocks and possessing many hazards and obstacles should a fall occur. All businesses have a Duty of Care under the WHS Act 2011 for the safety of all persons that may be affected by the business undertakings either directly or indirectly. NB: This includes insurers who engage building contractors on behalf of their customers. In the instance of repairing roofing damage to residential properties from the recent storms, like those mentioned above, it is reasonably practical to expect that contractors engaged to complete the repairs are at risk of falling from heights as identified in the first part of this report. Due to the nature of the work required, workers can fall onto obstructions, fixtures and concrete/ paved surfaces at the residences, ultimately resulting in death. Therefore, appropriate site specific workplace health and safety management must be put in place. A worker by definition (WHS Act 2011 – Section 7) is a person who carries out work in any capacity for a person a person conducting a business undertaking, including a person who works as an employee, a contractor or subcontractor (including their employees). 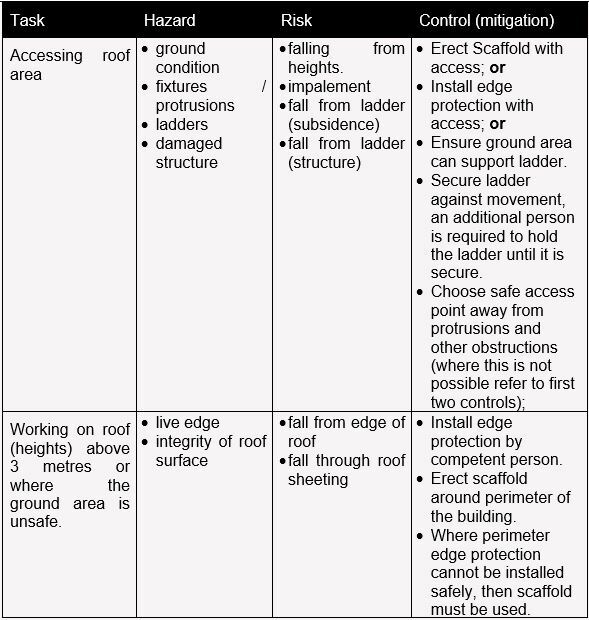 Prior to commencing work on a roof an assessment must be undertaken to identify and mitigate the hazards associated with working at heights, in relation this distance varies between domestic (3 metres) and commercial (2 metres) structures and what can be fallen onto or into. It is always preferable to use more substantial mitigation to reduce risk using the hierarchy of controls. In the instance of working on roofs, the elimination and isolation of risk is not possible or practical therefore engineering controls are the most effective. I.e. Scaffolding and edge protection. c. ensure any control measures necessary to prevent, or minimise the level of, exposure to the risk are used. The following is an example of a simple risk assessment, this is not extensive, however, gives an indication of the type of assessment that needs to occur. b) AS/NZS 4994.1 Temporary Edge Protection. Section 306E (5) (c) of the Work Health and Safety Regulation states that a roof with a pitch greater than 26 degrees are required to be 900 mm from the surface that is at the base of the edge protection, or scaffold, or the toe board and must have infill made a sturdy metal mesh or similar material. The edge protection system must be specifically designed to accommodate the additional loading caused by the infill mesh. Therefore scaffolding is the preferred and logical option. CRITICAL NOTE: Highset and multi-story residences exceeding the statutory 3 metre height will require a prescribed control to be implemented, as per the regulations. The nature of roofing work requires that the roofer, access the roof area and work near the live edge to secure the roof sheeting meaning that the control needs to take both aspects into consideration. Scaffolding provides safe access to the roof and provides fall protection for the areas where it is installed. Scaffolding also provides access for work to be undertaken on the soffit, facia and gutter. Scaffolding, when erected for purpose, ensures better fall protection for work undertaken on a roof with a pitch of greater the 26 degrees, along with being a much safer and more solid structure for roof heights over 4.2m. Scaffold, also allows workers to take frequent breaks given the stressors caused by the incline on their muscular skeletal system. It is my recommendation for the safe replacement of roofs throughout Brisbane that our client – Ambrose Building analyse each specific site including the height of the property, pitch of the roof, concrete/ paved surfaces/ and potential existing hazards and structures surrounding the home to determine the safest and most suitable fall arrest system required. The comprehensive safety system, safe work method statements procedures and training that each of the Ambrose Building supervisors have access to enable them to be competent to assess the related risk. Damaged or degraded roof sheeting, a full inspection prior to commencing works should identify sheeting that will not support weight, such as fibro or alsonite roof sheeting. Sheets identified as unsafe should be covered with form ply or similar if they are to be left in situ during the repairs and clear marked to ensure that person do not walk on them. Roofers should be encouraged to walk on the screw (or truss) line to reduce the chance of a sheet failure. (please find attached a WHSQ alert relating to a recent fatality of the worker falling through roof sheeting). It should be noted that edge protection is NOT designed to be lent against during the process of passing down and lifting up of roof sheets. It is designed as an emergency fall arrest system only. When working at a roof platform height of between 4.2 – 6m with edge protection as the primary form of scaffold it will almost be impossible to not apply pressure onto the system potentially causing it to fail under the weight of the worker and material being handled. Is the Insurer Responsible for these Types of Works Onsite? On 23rd June 2016 Principal Inspector Barry Trinder from WHS Qld presented a session to the Ambrose Building Supervisor’s Conference on the topic of WHS legislation and the responsibilities on all parties as dictated by the Act. Barry advised that if Builder A submits a quote for a high-risk activity and suitable controls are put in place, i.e. scaffold due to height and fall hazards, and Builder B does not; if a representative of the insurer such as an Assessor makes a decision to use Builder B based on the cost saving, Section 20 dictates that the Assessor and the insurer possess a duty under the Act because the risks have been highlighted by a competent person, i.e Builder A. It is important to note that while Builder B has a non-transferable responsibility for the safety of the onsite works, the Insurer cannot transfer their responsibilities to the builder because they awarded and allocated the work being aware of the risks that need to be managed on that site. This dual responsibility is made possible due to the provisions of Section 16 of the Act where more than one person can have the same duty. • the demolition of a load bearing part of a structure or the demolition of any part of a structure that is likely to affect its physical integrity. • water or other liquid that involves a risk of drowning. At Ambrose Building we employ QBCC Licenced Building Supervisors as the means of managing everyday safety on each of our sites and this is the reason Supervision is necessary for each and every job, no matter how small in dollar value. See our article on a recent Safety Incident which saw our plasterer receive an electric shock due to the work practices when the home was originally constructed. While the ultimate accountability for all works completed at Ambrose Building sits with Managing Director Brett Ambrose, accountability for the practical execution of the day to day safety and the use of the safety tools provided by virtue of our Workplace Health and Safety Management Plan sits with our Building Supervisors. At Ambrose Building we create a Site-Specific Safety system on every high risk repair we do to ensure we are meeting our WHS responsibilities. This not only protects our staff, trades, and business but it is the often unseen and undervalued service we also provide to our clients. 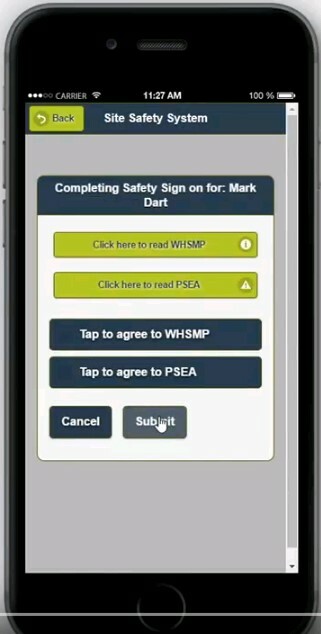 We continue to invest heavily in safety and as of this week our Safety System is entirely online, via a mobile App that requires our trades to sign in to every site, every day, allowing them to review the WHS Management Plan, Project Safety Environmental Analysis (PSEA) and Safe Work Method Statements containing the step-by-step work processes, possible hazards and their related safety controls. Our investment into this form of safety technology, allows our Supervisors to update any controls relating to work on site and this is immediately accessible to all of our relevant trades. 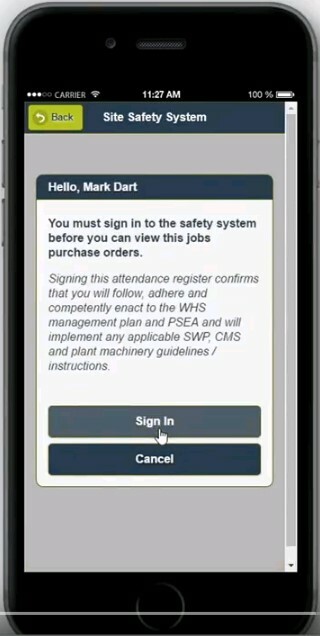 It is our commitment to safe worksites and the provision of smart, specific, transparent, and dynamic tools such as the Site-Specific Safety App that enables Brett Ambrose as the Managing Director of Ambrose Building to demonstrate he is doing everything he can to manage the risks and hazards on site. What are you doing to manage your duty under the Act and do you realise that your decisions have a wider implication for your organisation just beyond the financial cost of the repair?